China is bringing home some serious American bacon. Shareholders of Smithfield Foods approved a plan to sell the world's largest pork producer and processor to a Chinese company. The Smithfield, Va.-based company said more than 96 percent of the votes cast during a special meeting in Richmond on Tuesday were in favor of Shuanghui International Holdings Ltd.'s $34 per-share offer, or $4.72 billion in cash. The deal, which is expected to close on Thursday, will be the largest takeover of a U.S. company by a Chinese firm, valued at about $7.1 billion including debt. Its sale to Hong Kong-based Shuanghui comes at a time of serious food safety problems in China, some of which have involved Shuanghui, which owns food and logistics enterprises and is the largest shareholder of China's biggest meat processor. Smithfield's shares rose one cent to $33.99 in morning trading Tuesday, just short of the buyout offer. 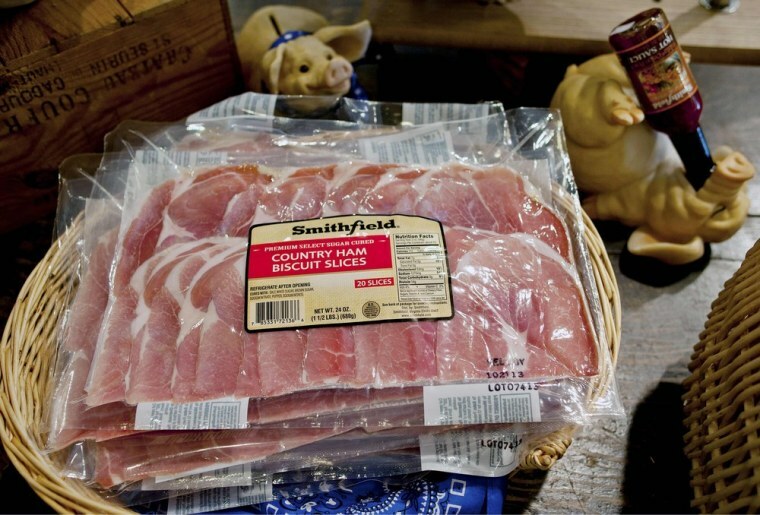 Pork producers such as Smithfield have been caught in a tug of war with U.S. consumers. The company needs to raise prices to offset rising commodity costs, namely the corn it uses for feed. But shoppers are still extremely sensitive to price changes in the current economy. By raising prices, Smithfield risks cutting into its sales should consumers cut back or buy cheaper meats, such as chicken. Smithfield has said that the buyout and China's growing demand for pork will be a boon for American agriculture and an opportunity to export to new markets. Smithfield's existing management team will remain in place and Shuanghui also will honor labor agreements with Smithfield workers. Shuanghui's reputation was battered in 2011 when state broadcaster CCTV revealed its pork contained clenbuterol - a banned chemical that makes pork leaner but can be harmful to humans.